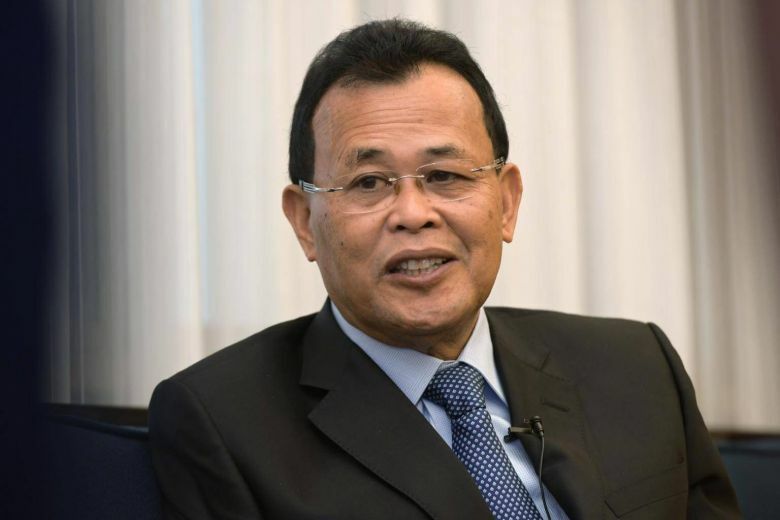 Datuk Osman Sapian has stepped down as the Menteri Besar of Johor, effective Monday (April 8). His resignation was later confirmed by Prime Minister Tun Dr Mahathir Mohamad. Speculations around Osman’s resignation started to spur after he was absent from the Malaysia-Singapore Leaders’ Retreat on Tuesday. Instead, his seat during the retreat was taken by Johor Health, Environment and Agriculture Committee Chairman Dr Sahruddin Jamal. According to Tun Mahathir, Osman submitted his resignation letter to the Prime Minister and Johor Sultan (Sultan Ibrahim Ibni Almarhum Sultan Iskandar) on April 8. When asked about the reason behind the resignation, Dr Mahathir refused to disclose. However, there are talks about how the Johor palace was displeased with the way Osman handled the river pollution crisis at Sungai Kim Kim, Pasir Gudang back in early March. 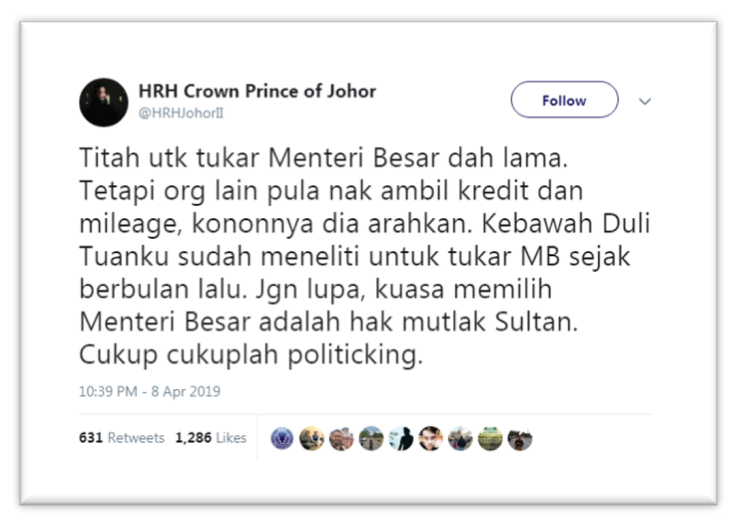 Johor Crown Prince Tunku Ismail Sultan Ibrahim has tweeted about the resignation, saying that the replacement of Johor MB had been planned for months. Tun Mahathir added that the appointment of the next Johor MB must follow the agreement in Pakatan Harapan, the successor must be a member of Parti Pribumi Bersatu Malaysia (Bersatu). 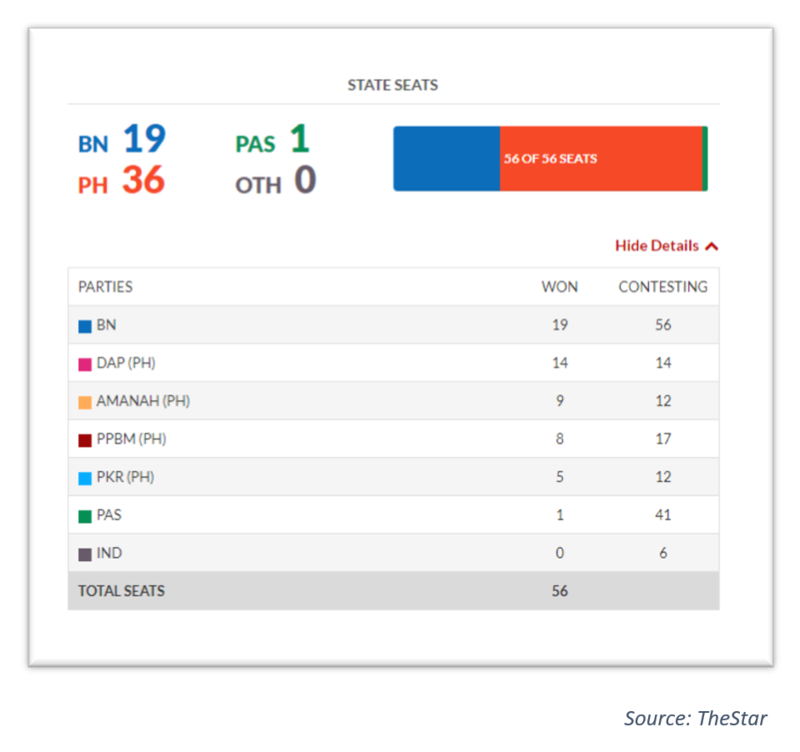 For last year GE-14, Pakatan Harapan won 36 out of 56 state seats in Johor. Other than Dr Sahruddin Jamal, the other candidates for the Menteri Besar post are State Youth, Sports and Culture Committee Chairman Mohd Khuzzan Abu Bakar, and State Islamic Affairs and Education Committee Chairman Aminolhuda Hassan. Who will be the successor of Osman Sapian?